Readers Please Note: We will be discontinuing posting updates in Internship Abroad (Utkarsh) facebook group. Continuing the insightful interview of Anurag from Mumbai, here’s the fourth in the series of six internships of Anurag at University of North Texas, USA. Anurag has completed an Integrated 5 Year Dual Degree Program (Bachelors & Masters’ Dual Degree) from Indian Institute of Technology (BHU), Varanasi in Mechanical Engineering. He is currently working with Eaton Corporation where he started working from August this year. InternFeel: Tell us something about your internship including stipend, duration and place? Anurag Roy: After aiming for an internship abroad, hardly did I know that the tides were turning, luckily in my favour and before it was too late, I too was thoroughly engaged in the quest for an abroad stint. They say “the journey of a thousand miles begins with a single step”. I took that initial step : realized my area of interest in materials which fortunately overlapped with my area of expertise, began “hunting” for professors/faculty members who worked on similar topics and were running state-of-the-art laboratories of their own, got in touch with them with well-drafted emails, attached with relevant documents – resume, Letters of Recommendation, Research Intent/ Statement of purpose and eventually, it worked out wonders for me (though only after two months of painstaking “treasure-hunt”). The summer of 2014 saw me depart to the land of dreams for a funded research internship at the University of North Texas (UNT) where the tasks essentially entailed laser processing of materials (selective laser melting) and subsequent characterization. The pioneering project that our group carried out back in those days left an indelible mark on my outlook towards research in general and research in the niche laser-material interactions in particular. AR: In my case, the characterization techniques that I had mastered during the first internship at BARC accurately matched with the requirements of the professor in UNT. Conclusively, similar technical experiences garnered during previous research/co-op stints surely increase the probability of selection by manifolds. AR: By Feb end 2014, an email had arrived from the University of North Texas confirming my summer appointment with a University Distinguished Research Professor who was also the former chair of the Department of Material Science. It was an honour to work under the able-guidance of a researcher of his stature. I was initially exposed to a volley of characterization techniques on very sophisticated lab equipment, handling high power lasers alongside lab safety briefings and it was only after this certified course was over that we were permitted to carry out various project-related activities pertaining to ‘Laser Assisted Tungsten Coatings on Aluminium Alloys for Enhanced Wear Performance’. The effort we put into this culminated in a publication at the JOM, Springer a few months later. AR: Initially I was really sceptical owing to the fact that it was a whole new country, whole new people, whole new set of social customs and practices but no sooner did I reach Texas and start mingling with the locals did I realise that they were very kind welcoming people. The notion that Texas is replete with racist punk white-supremists is utter rubbish and I can personally vouch for Americans in general and Texans in particular. People, irrespective of the country of their origin were extremely polite, eager to help and well-mannered to us, more so because we were from a different country. Not for a minute did I ever feel unwelcome or be at the receiving end of anyone’s ire. University of North Texas is located at an hours’ drive from Dallas, the most magnificent city (after Houston) I have ever visited. The largest city in Texas, Houston, offered spectacular attractions -NASA’s Johnson Space Centre, The Galleria, Houston Museum of Natural Science, Downtown Houston, Williams Towers, Galveston Island, Port Bolivar, Sugarland and loads more. I even met one of my closest friend’s brother there and had a lovely interaction one fine morning at a local cafe serving Indian tea (chai). 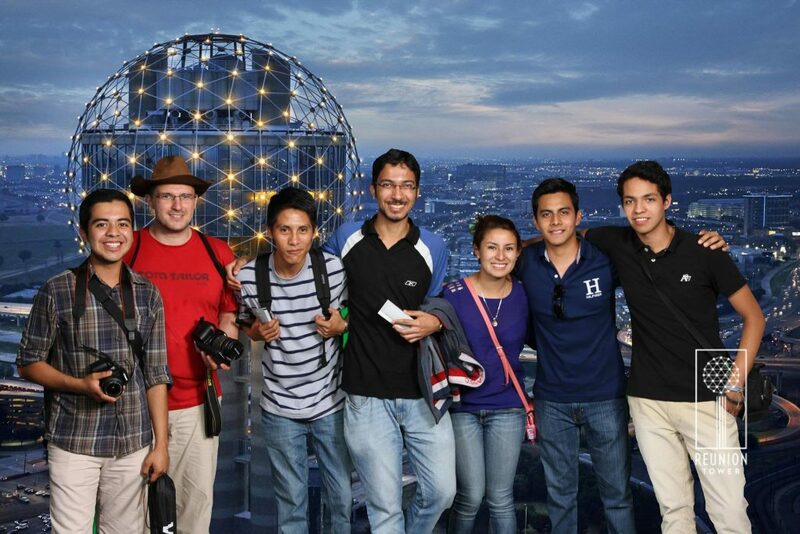 Furthermore, I had befriended a Mexican co-intern and it was truly very nice of him to have introduced me to his wider social circle and there were planned visits to Dallas by all of us; the Reunion tower, Dallas World Aquarium, the Sixth Floor Museum at Dealey Plaza, the Kennedy Memorial, Downtown Dallas, American Airlines Centre etc. were on the list. A fulfilling weekend at San Antonio saw us tour the world famous River Walk, the Alamo Mission, Tower of the Americas, Six Flags and the mesmerizing Seaworld. Apart from all these memorable trips, I consider the celebration of 4th of July to be the cherry on the cake, the fireworks, the light & sound show at the Apogee Stadium were inexplicably grand. I can go on the record to state that the Texan intern was, by far, the best internship of my life. I would do anything to go back and revisit Texas one day. The research internships, both domestic and abroad were instrumental in shaping up decisions concerning grad school, career paths and in answering various mind-boggling questions such as, whether or not to pursue a career in science for the forthcoming years and if so, which field to opt for later. Moreover, I followed a piece of advice given to me by one of my seniors whom I hold in very high regards. She had sermonized- don’t be a reticent shrinking violet, instead, interact with as many people as possible during these short internship periods, be it your immediate supervisors, managers, leadership team, vendors & contractors, co-workers (in an industrial template) or project guide, departmental faculty, researchers and scientists, grad students, co-interns (in a university/research facility). It isn’t a Herculean task to picture yourself sitting in their positions and shouldering their set of responsibilities 10-20 years down the line. Gather their backgrounds, look at how they have risen up the ladder, strike a good rapport with the right people, inspect what strategies they adopted in order to outpace their counterparts and make sincere attempts to learn the tricks of the trade from them, do these and you will soon be at the pinnacle of success. I cannot emphasise enough how profoundly important internships and similar training experiences (outside the purview of conventional academics) can be for the overall development of a person, both on the personal front (since you meet new people, learn about new cultures, adjust to novel practices, understand behavioural traits, come outside the comfort zone of college) as well as professional (the technical part, the resume-worthy achievements, recommendations and prospective references, etc). AR: Indeed, internships have had a substantial impact on altering my prospective career paths. All throughout my childhood and teenage years, I nurtured the dream of becoming a civil servant and joining the elite Indian Administrative Services to serve my people. But my interest in taking this ambitious profession as a career ended as suddenly and dramatically as the climax of the “West Side Story” after the fascinating trips overseas. By the end of this journey, I too fancied a comfortable life out in the West, a globe-trotting job at a large multinational and cherish corporate success. To clear the air once and for all, yes, these internships were vital in driving me to a radically different road. 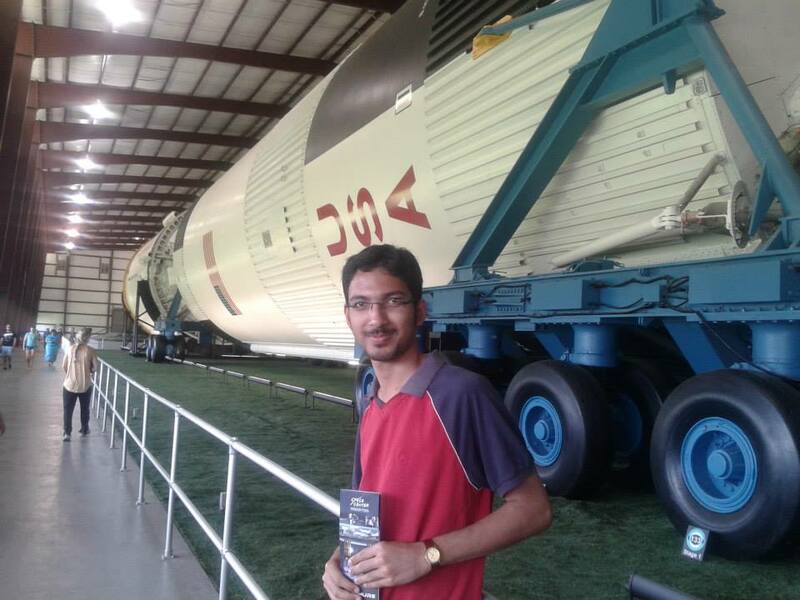 Read the next interview of his experience at Florida Institute of Technology, USA where Anurag has some important useful advice to all the future aspirants.